I wanted to check in with a few notes from Emerald City Comicon, which is happening this weekend (March 1-3) in Seattle. I put up some more coverage over on The Morton Report, so check that out. The highlight of day one had to be seeing the legendary Billy Dee Williams during his panel. 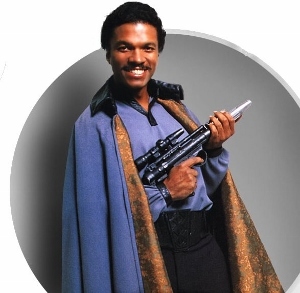 After a highlights reel that touched on most of Williams’ career (though I don’t think I saw a Batman clip, strangely enough), moderator Dave Mahler introduced the man best known for portraying Lando Calrissian. It was a funny, laid back interview, with Williams making it clear that he hopes to be involved in the upcoming episode seven of Star Wars (“They’re still writing it,” is all he really had to say). Best moment: several members of The Lando Society (yes, it really exists) showed up in the Q&A line. Their goal was to personally induct the one and only Billy Dee Williams into the society based around the “teachings” of his signature character. Williams seemed taken aback somewhat, but graciously agreed. His manager even rushed to get a camera ready to film the short induction ceremony. The members of the society all wore the famous Lando cape from Empire and Williams soon donned one himself. The only bit of hesitation came when Williams was asked if he vowed to always be “better than Han Solo.” Williams balked at agreeing outright to that one.